Before you commence with programming a healing crystal you need to have cleansed, cleared and dedicated the stone. You need to first program your healing crystal after which you will move on to activating your stone and finally charging your crystal before you work with it. Information or commands are stored in the molecular structure your the healing crystals as magnetic charged data. In other words, crystals can receive and hold thought forms (data) and when you project your intent consciously, it is called programming a crystal. 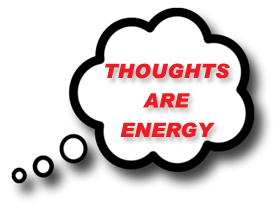 Thoughts are energy and are magnetic in form. The data you program into your healing crystals as thought forms, powered or intensified by intention and emotion, is stored as energy. First, you have to determine the purpose of the program you wish to imprint. Secondly, you must think of the end result you want to achieve. When programming a healing crystal you set your intent - your aim or purpose. Your intention directly affects the result of your actions. Following is a very simple intent you can use, remember it is always best to keep it simple and even better to use your own words. 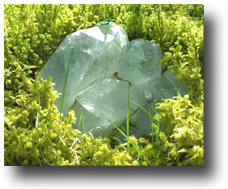 "I intend for this crystal to be effective for healing, manifestation, etc. in light and love for the highest and greatest good of all. So be it!" To start, I recommended that you have a limit of one program per crystal. All your requests should have your and others' best interest in mind. Do not ever program a crystal with negative energies, as they will reflect back to you. The Brow - Third Eye Chakra Method is an effective way of programming a healing crystal. First clear the crystal by imagining a bright white light (I always envision white light it's pure and cleansing) going through the crystal to eliminate any previous programming. Place the crystal against your brow, if you are working with a terminated crystal, the direction the crystal is pointing does not matter. Close your eyes and visualize going inside your crystal. Now picture the end result of your intention happening inside your crystal. Create it with as many of your senses as you can. See it, smell it, touch it, hear it, taste it, make it real. When it feels real; come out of your crystal and open your eyes. Remember cleansing your healing gemstones is very important and should you find that after programming a healing crystal, it does not perform as well as you've expected then in all likely hood it needs to be cleansed and cleared again. When you do the second cleansing of your crystal, try using a different method. You can also do a clearing on the crystal as it might have been programmed before and have conflicting vibrations. If it is still not working for you, it might be the wrong crystal for you at this time. Put it to one side until it "speaks" to you or give it away. It may be meant for someone else. The proper training in the methods and techniques required to clean program, activate and dedicate crystals are best learned from someone with experience. By activating your healing crystals you will be stimulating their natural attributes. This process prepares them for healing. or sounding a meditative gong in close proximity to the stones also work well. Gently ringing Tibetan prayer bells or playing soothing music close to your healing stones are other methods that can be used. There are various ways for you to charge your crystals. Place your healing stones on a large crystal cluster or surround your crystals with clear Quartz points, points facing inwards. Placing the healing gemstones in sunlight or in moonlight works well. To more heavily charge them; days such as the equinoxes or solstices, a full moon or new moon are ideal.